At GI Landscape Maintenance in Portland, Salem Area, we're committed to give the best service. Our business counts with all our staff having 5 years of experience in the field. GI Landscape Maintenance is fully insured and bonded. We offer Landscape Property Projects (Wood Fencing, Patios, Retaing Walls) Landscape Property clean ups; Maintenance Services monthly, Bi-Weekly, & Weekly. We also offer many discounts like veterans, senior, and neighbors discounts. About our wooden fencing installation, our wooden fencing installation will provide a natural beauty, privacy, and security wood fence. 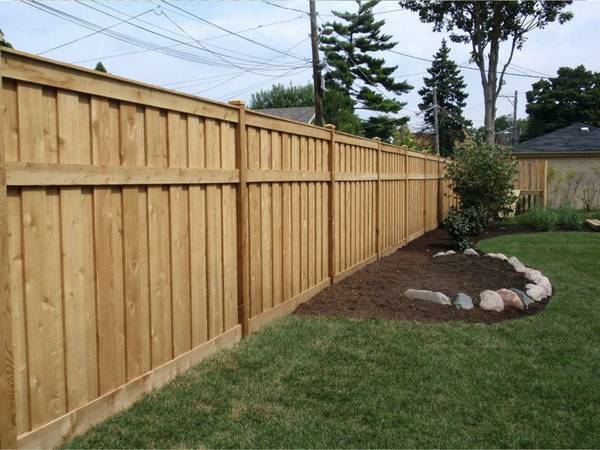 Our wood fence is built with steel or oversized pressure treated posts, hand mixed concrete, and three horizontal stringers. Our wood comes with the proper treatment that will hold up against the wind, rain, and other elements for many years. Here is our website and our Facebook as reference to see our projects that we have previously done and properties that we currently Maintain.